Unlike other residential and commercial grade refrigerant dehumidifiers, low-grain refrigerant or LGR dehumidifiers are much more efficient. These units use a double cooling or enhanced step to lower the moisture laden air temperatures so more condensation can occur and at a faster rate. The result is air that is dryer, heated and with less moisture than conventional refrigerant dehumidifiers units can produce. 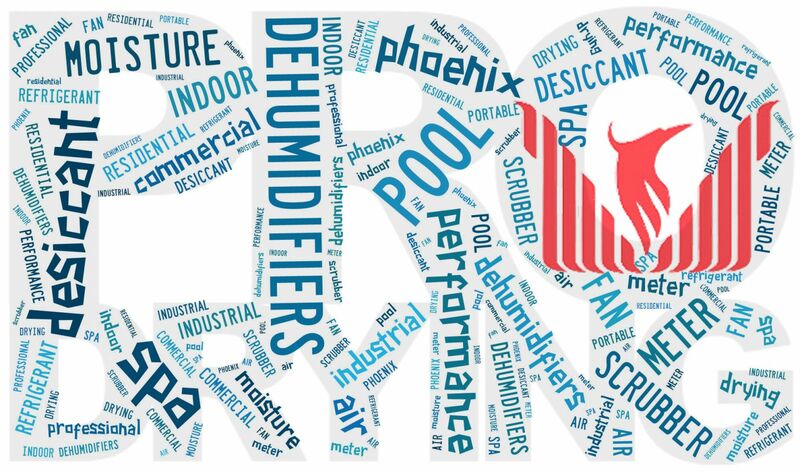 Though more expensive LGR dehumidifiers are the most effective structural drying tool which can also continue to produce lower humidity in conditions where conventional refrigerant units are deemed ineffective. Three types of pre-cooling systems are used in LGR dehumidifiers – the heat pipe, thermal siphon and air-to-air heat exchanger. The heat pipe system is a looped cycle system at the front of and right behind the cold coil. A refrigerant collects heat from drawn in air, heats and evaporates. The heated and evaporated refrigerant is transferred to the back side of the coil to be cooled and condensed and then returned to the front side of the coil to be heated and evaporated again. The process is repeated continually supplying cooled refrigerant to the front of the coil and pre-cooling the incoming air. The thermal siphon system is similar to the heat pipe concept except it uses a stacked hot and cold coil, making it suitable for smaller LRG dehumidifier units. Unlike the former two systems, the air-to-air heat exchanger system operates using air instead of liquid refrigerants to transfer heat. Warm incoming air flows through the channels of a corrugated plastic or aluminium block. Cooled air from the coil flows through a second block of corrugation at the same time. This pre-cools the warm incoming air before it passes through the hot side of the refrigerant cycle. This type of pre-cooling system is lightweight in contrast to the heat pipe and thermal siphon systems. LGR dehumidifiers have tremendous advantage over conventional refrigerant dehumidifiers. They are designed for drying flooded structures and will remove as much as ten times more moisture from the air than a residential dehumidifier. Their new technology gives them the edge over other conventional refrigerant dehumidifiers, with the capability of removing higher levels of water at lower humidity than typical refrigerants. LGR dehumidifiers obtain lower specific humidity levels than conventional refrigerant dehumidifiers can ever reach. Where as, typical refrigerants are most effective in warm, moist conditions, such as the first stages of drying; these units continue to remove significant water vapor efficiently especially at lower specific humidity than refrigerants can ever go. The result is its ability to pull bound moisture out of difficult to dry materials like wood and concrete. Ultimately, structures will dry faster and more thoroughly with these units, making them the top choice for disaster restoration companies across the country. This article was published on Tuesday 17 July, 2012.